A mother, trying to do right by her son. Minding my own business at the bottom of a lake in my own personal liar… that is until someone kills my son and then mama’s gotta take care of business. Slaying Danes and Geats while they slumber in their mead halls. That I may or may not be a woman, or even human. I don’t like labels. 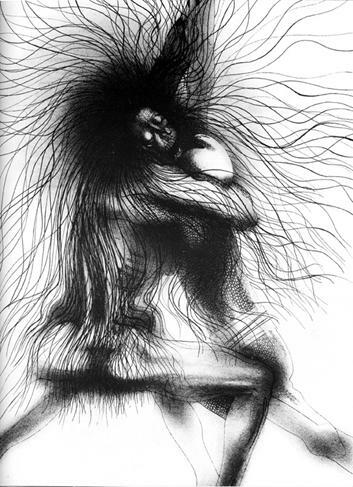 Grendel, my son, the fruit of loins, my pride and joy, my offspring, my boy. Beowulf. Specifically his head. On a platter. Sometimes I sing Danish drinking songs when I’ve had one too many. Some goddamn peace and quiet.